Over the last few years I have become deeply fascinated by the vital role that culture plays in some of the world’s most successful companies. I have spoken to hundreds of business leaders about their thoughts on how they have nurtured and embedded their company’s culture. I heard Tom Bogan the CEO of Adaptive Insights speak recently at Jason Lemkin’s excellent SaaStr Annual conference in San Jose, and although I have spoken to many CEOs over the last few years, I have never come across anyone who joins an established company and builds a mostly new leadership team and treats that team as a “founding team” – yet Tom’s decision to do so has clearly worked. Tom Bogan has had an impressive career. 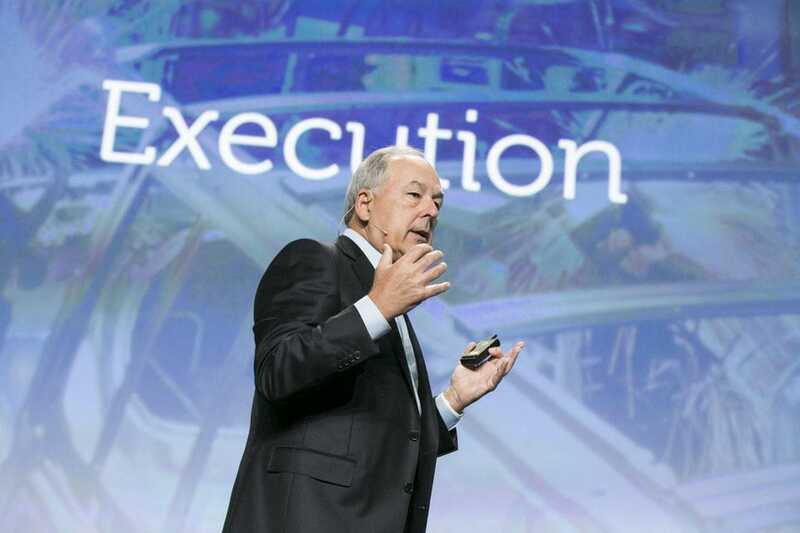 He has spent two decades in various C-suite roles in high-growth tech companies, including President and COO of Rational Software, which was acquired for $2.1 billion in 2003 and BOD Chairman at Citrix Systems for over 10 years. He has also been a Partner at Greylock Partners and over the last decade has filled numerous roles at board level for companies like Apptio, PTC, Rally Software, Black Duck Software, and others. Bogan joined Adaptive Insights, a leading cloud-based company for modernizing business planning, as CEO in 2015. 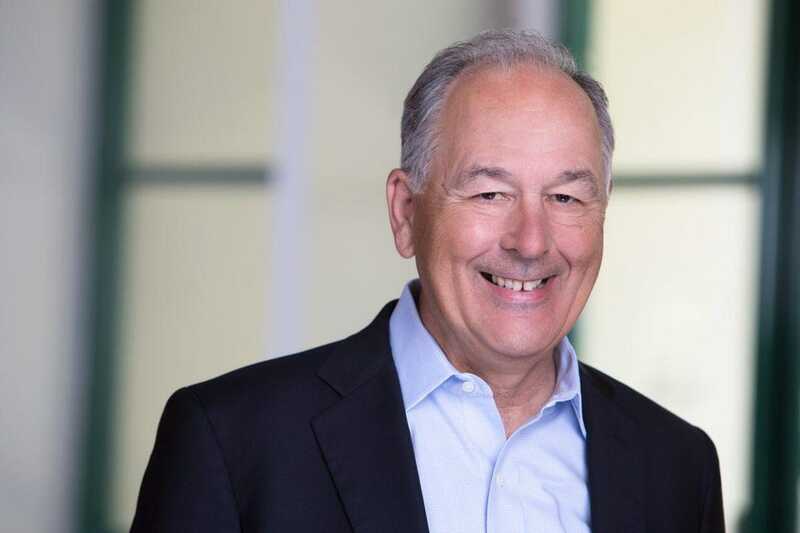 Under Bogan’s leadership the business crossed the $100 million revenue mark in 2017 and he was about to take the company public in 2018 when Workday, a leader in cloud corporate performance management, swooped in and acquired the business for $1.5 billion. Bretton Putter: In your presentation at SaaStr, you spent some time talking about culture. One of the comments you made, which really fascinated me as I’d never come across it before, was that when you took over at Adaptive Insights, you treated the team you built as a founding team, even though at that point the business was turning over $40 million. Can you tell me about your approach? Tom Bogan: Something powerful happens in successful founding teams: there is this incredible sense of alignment and shared context. Having a team that is very aligned at its formation stage with the purpose and the vision of the company allows it to be great. People know what’s important, what the values are, and what matters within the company – whether that is how we treat employees or customers, how we make decisions, or how we show respect for each other. When those factors are present, creating a strong founding culture is easy. In my experience, this cultural alignment is associated with most successful start-ups. And it’s important to carry those attributes into each phase of a company’s development. I want my team to think of themselves as founders because founders are more than employees. They are part of the fabric of the organisation. When your culture is aligned, everyone knows what’s important, without having to debate it every time and re-establish first principles. Because you’ve all already agreed on those first principles, by default you agree on what’s important. Putter: How was the transition when you took over Adaptive Insights? Did you do an analysis of the culture and the characteristics and attributes of the founders and the team? Bogan: That was part of my screening, gaining an understanding of the culture and seeing if it was aligned with my value set. 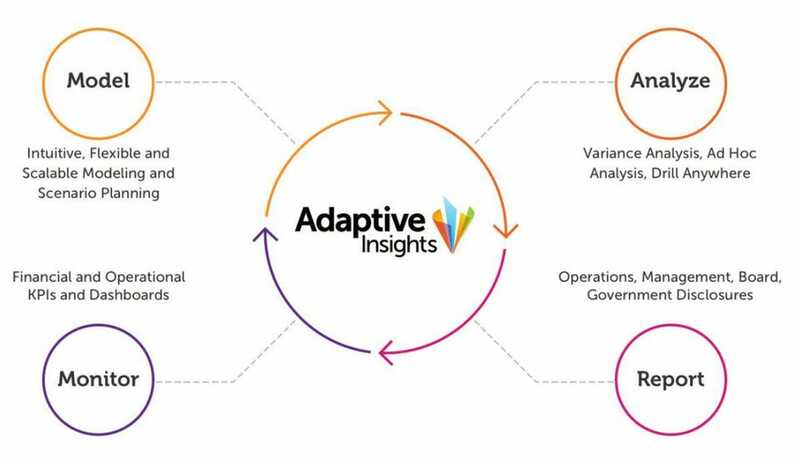 Adaptive Insights is very customer-and employee-centric. These are probably the two most critical cultural values for a successful software and SaaS company. There was one area that I thought we could improve by having more transparency and accountability in our culture. We are very people-centric, but that shouldn’t let that prevent us from holding ourselves and each other accountable for commitments. The irony is that I think the opposite is actually true in a healthy culture. People-centricity and respect go hand-in-hand with accountability. When I went to the founders and talked to them about that issue, they said that of coursethey wanted accountability and that they never intended to deemphasize that part of the culture. Putter: What approach did you take towards embedding transparency and accountability? Bogan: Regarding transparency, probably 90% was through messaging. People can only judge transparency by your actions, so you must send the message through your actions. And when you’re transparent, you build trust. For example, we had a couple of tough quarters where we didn’t meet our targets. Instead of hiding that information, we shared that we missed our numbers, why we thought it happened, and what we planned to do to get back on track. It’s easy to justify keeping information to yourself because you believe that if you share bad news, people get worried and leave. But I’ve found that if you’ve built the right foundation, people appreciate your transparency. In the long run it builds trust, loyalty and commitment. Accountability is harder. You must start by holding yourself accountable. We began by giving everybody goals and sharing their results and performance against those goals in broad public forums. Our aim was to establish a culture where people would volunteer that they missed their goals or didn’t get something done. Talking about something we didn’t accomplish or issues in the business were difficult conversation but ultimately this transparency allowed us to focus on constructively addressing problems. At times it was a challenging transition for us. But once the rest of the management team started engaging and asking the hard questions, we got there and created a culture of continuous improvement. We still have work to do, but I think we’re far more accountable than we were a few years ago. Putter: What was your approach to strengthening the team when you joined Adaptive Insights? Bogan: Team building is ultimately the most important thing we do as leaders. In our case we were generating about $40 million in revenue and were at about 500 people at the time I joined. We ended up changing much of the senior leadership team, in some cases bringing in new leaders while keeping the previous leaders in different positions within the company. In other cases, we needed to make a more complete transition. We brought new leaders in for finance, product, sales and marketing. Because we were committed to transparency, we told everyone company-wide at the beginning of the journey that we would be making changes in leadership into each of those specific areas. We also let them know that it would take months to go through this evolution and that we understood that there would be uncertainty as we experienced these changes. Most importantly, we told our team why we were doing it and what we expected to change within the business once the leadership transition was complete. It did increase anxiety and we saw an increase in turnover at the beginning of that journey. But by the end of that process, people had assimilated the changes – and we had built a team that was well positioned to scale the business moving forward. That’s a challenging transition—it took a time to really settle–but it was worth it. Putter: Is it the case where the people who are still there at the end of the transition are the people who are meant to be there? Bogan: Yes, although you don’t always get it right and at times, you lose people you don’t want to lose. I think the best you can do is to always let people know how things are going, how they are performing, and try to be as clear as you can about expectations. In parallel, it’s critical that your key performers know how important they are to the business and that they are valued. Putter: In terms of the Workday acquisition, in your presentation you gave some sage advice – don’t run an IPO and acquisition process in parallel, which is what you did at Adaptive Insights! How did you manage to evaluate the Workday culture for a fit with Adaptive Insights’ with the IPO clock ticking? Bogan: We were on the final stretch to going public, and there wasn’t a lot of time to do much. We closed the acquisition three days before the IPO date. I wouldn’t recommend any CEO run those processes in parallel! Working in that tight time frame, we looked at a few criteria to help us make the overall decision about whether an acquisition was the best path. One was our valuation: It needed to reach a threshold that made an acquisition more attractive than an IPO. We ultimately determined it by adding the IPO price to a year of execution, at a premium. It helped that it was Workday on the other side of the table. I had worked with Aneel Bhusri at Greylock, so I knew him well. In addition, I think Workday is an extraordinary company and a great partner for the next stage of our journey. Aneel and the Workday team had to trust what was in the S-1—and he had to trust what we said regarding our plans and the investments we had made in enterprise readiness (because the Workday customer base is more large enterprise-oriented than the Adaptive Insights customer base was). From our perspective, in addition to valuation, we had to trust the Workday culture was what it appeared to be from the outside. Our jobs as leaders of Adaptive Insights–as an independent company–wasn’t just to deliver the monetary outcome, but to also find the right partnership for our customers and for our team. I had a lot of trust in Aneel. I had watched Workday develop from the very early days, and I saw the culture that he and Dave built and established. Now that we are part of Workday, I can honestly say that everything I believed from the outside is absolutely true on the inside. I think we built an incredible culture at Adaptive Insights—customer-centric, people-focused—but the Workday culture is extraordinary—the best I’ve seen. The belief at Workday is that if you do a great job for employees, they’ll do a great job for customers. I think we’ve all said that one of the exciting parts of the acquisition is how much cultural alignment we feel between the two organisations. We’ve seen – and I’ve certainly been a part of – acquisitions where we didn’t have cultural alignment. I think it’s as important to screen as heavily for culture as for business synergies when doing mergers and acquisitions. Putter: What company culture from your past really stand out for you? Bogan: At Rational Software, customer service and customer value were essential parts of our culture. We did an extraordinary job of articulating the importance of customer success. We did whatever it took to help that customer get to the right place, and it’s one reason Rational Software was so successful.